Left Hook: The Arab Spring is read by most people in the West as a pro-democracy movement that used social media to organize protests to oust a military dictator. Hosni Mubarak was removed from power more than two years ago. Can you give a bit of background on the political situation in Egypt right now? How much has really changed? 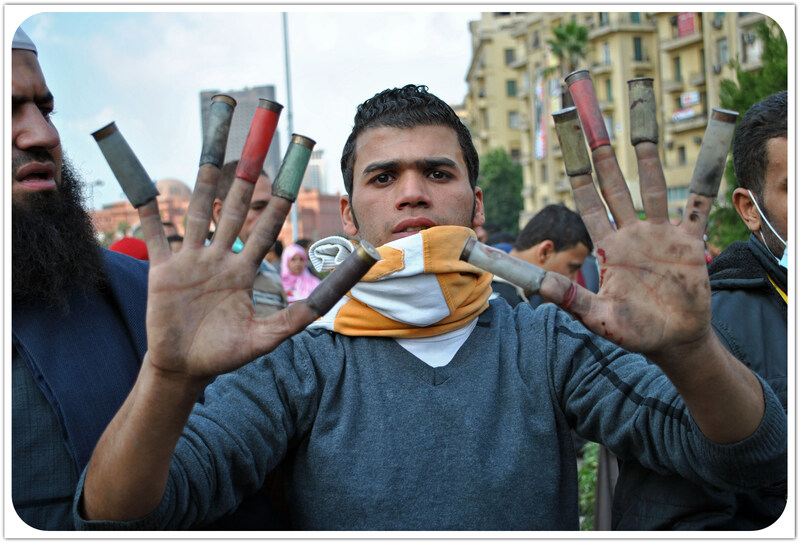 Ali Mustafa: Firstly, Egypt’s revolution is part of a long and ongoing process that is far from complete. More than two years after former dictator Hosni Mubarak was toppled, ordinary Egyptians are still taking to the street en masse to fight for bread, freedom, and social justice. Nothing has changed at all in that regard. In fact, mass protests, labour actions, and ongoing clashes with state security forces in opposition to the ruling regime have only intensified in recent months. Despite the transition to liberal democracy finally completed last year, many of the underlying structural flaws that have plagued Egypt for decades are not only still in place but arguably worse than they were before: vast inequality, widespread corruption, grave human rights abuses – all of the problems that originally led Egyptians to rise up against Mubarak in the first place. Since taking office as the first ever democratically elected president in the country’s history, Mohamed Morsi has largely failed to capitalize on the historic opportunity before him. His top priority has clearly been to consolidate his own grip on power. As a result, his presidency has signaled far more continuity than actual change. Yet it is a mistake to treat any new democracy as some sort of a blank slate, ignoring just how much of the dynamics at play are inherited rather than decided. In Egypt, the so called ‘deep state’ – a longstanding legacy of deeply entrenched elite interests, including but not limited to those of the military – remains firmly intact. As a result, the transition from dictatorship to democracy is by no means an easy one. Elections alone do not signify a major break with the prevailing political and economic order. Without any meaningful level of structural reform, they only serve to further consolidate the status quo. Egyptians, however, refuse to let up pressure. They have made it very clear that they are no longer willing to accept politics as usual, merely having one autocrat replaced by another. Too much has been sacrificed over the past two years to simply turn back now. That being said, many serious challenges still lie ahead. 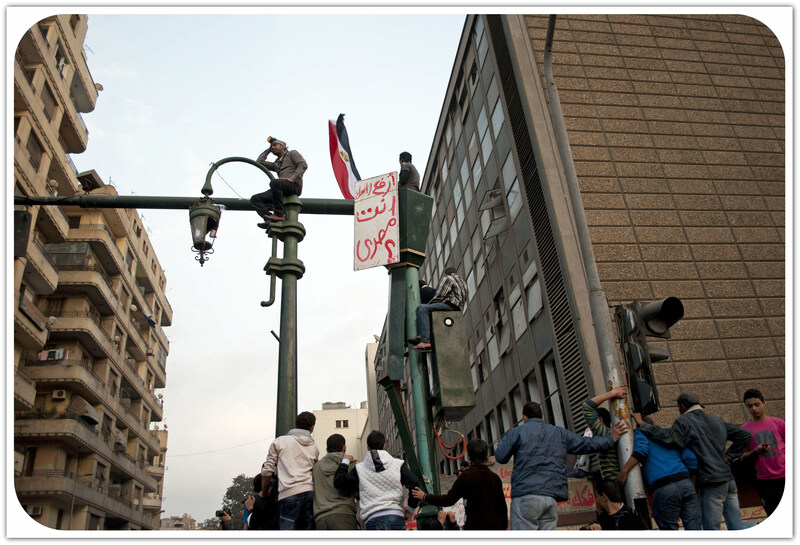 The inspiring sense of unity found in Tahrir Square during the original 18 day uprising that finally toppled Mubarak actually concealead far more than it revealed. Egypt is more polarized now than ever before. The result has been one major political crisis after another with virtually no end in sight. How exactly everything will play out is still difficult to say at this point, but the fault lines are clear. 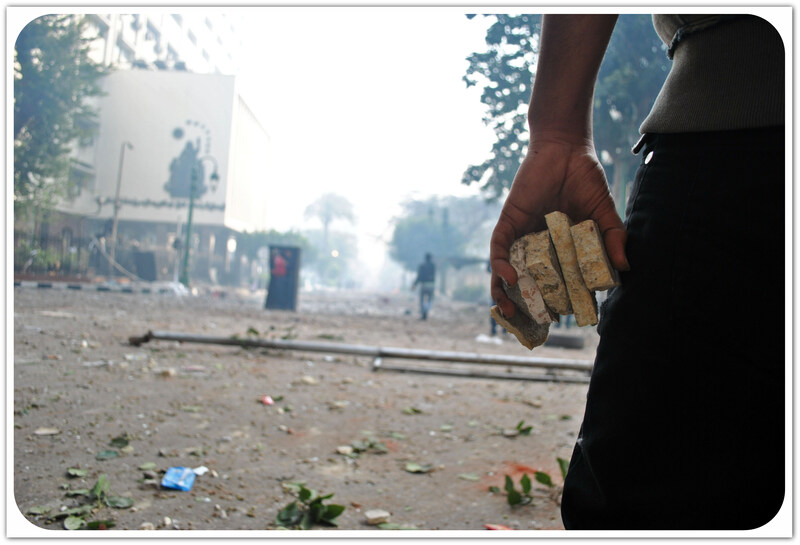 LH: On February 1, 2012, over 70 people were killed in the ‘Port Said massacre’ at a football match. Many people have argued that this attack was orchestrated from the top as a reprisal against the ‘Ultras.’ What happened in Port Said and who are the Ultras? AM: Ultras are a group of avid, typically young football fans united by a very strong sense of loyalty to their club. Generally, each team will have its own dedicated following of Ultras supporters. Aside from style of clothing, like a hoodie or scarf bearing their team’s colours, Ultras are otherwise distinguishable from ordinary fans by the animated displays of support they bring to football matches in the form of chants, flare shows, and other theatrics. These activities are meant to inspire a unique sense of belonging among the participants involved, awe spectators, as well as intimidate supporters of the opposing side. What many people may not know about the Ultras is just how sophisticated they are organizationally. They have a centralized leadership structure, smaller subgroups divided by region, and regular meetings attended by local representatives where key decisions concerning the group’s activities are made. The reason so little is known about them is because of their somewhat secretive nature and reluctance to talk to media. The Ultras phenomenon originally has its roots in Europe, and really only made its way to Egypt and other parts of the Middle East in the early 2000s. Nevertheless, the impact has been unmistakable. The youthful spirit and energy they bring with them to the matches, much like we find elsewhere, including Europe, naturally creates a highly charged atmosphere inside the stadium. As a result, tension tends to run very high during most matches, occasionally leading to minor skirmishes or sometimes even larger outbreaks of violence between rival Ultras. They certainly have no problem taking on the police as well. Actually, despite some notable variations from one region to another, one of the basic, underlying themes of the Ultras culture globally is a deeply held contempt for the police and authority more generally. This type of intense hatred can be best summed up by the motto made popular by the Ultras, which you will find, for example, spray painted on walls all over downtown Cairo: All Cops Are Bastards (or ACAB). This kind of longstanding feud that exists between Ultras and the police in Egypt has only grown worse in recent years. 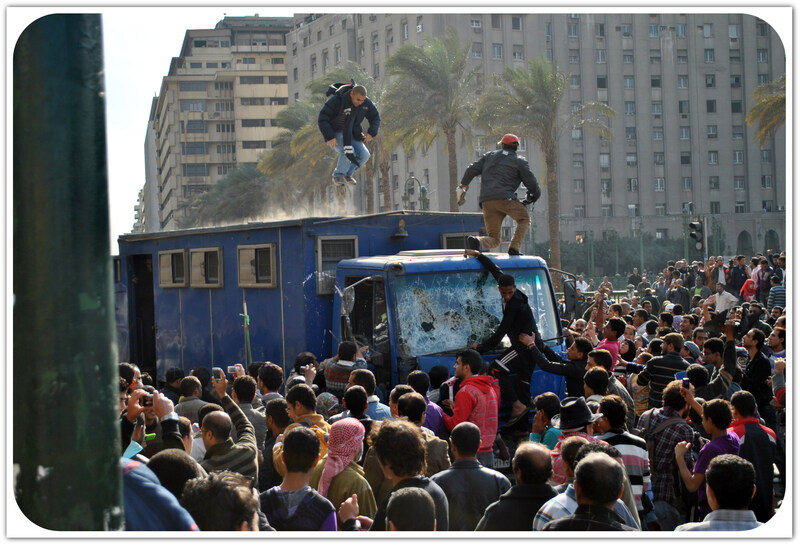 During the start of the Egyptian revolution on January 25 2011, Ultras were at the forefront of the clashes against the police in Tahrir Square, especially during the now infamous Battle of the Camel. Since then, the Ultras have played a major, indispensable role in the ongoing struggle against the regime and become renowned among Egyptians for their bravery and fighting skills. Basically, they have brought their years of experience in fighting against police from the stadium to the streets. All of this provides really important context for understanding what happened a year later in Port Said, which, as you say, saw over 70 people brutally killed and 1,000 more injured in a stadium riot after a match between Al Ahly and Al Masry on February 1, 2012. The incident is recognized as the deadliest sporting disaster in Egypt’s history. After the match, fans from the hometown Masry side stormed the pitch and began attacking visiting Ahly supporters in the stands with clubs, knives, and other types of weapons. Most of the individuals killed, however, actually suffocated to death after being trampled in the ensuing chaos – it was later revealed that the gates of the stadium had in fact been welded shut, leading to a deadly stampede at the exit that could have otherwise been avoided. Several important questions immediately come to mind, which until now have not really been sufficiently answered. First of all, why were the gates of the stadium welded shut, making any sort of safe exit virtually impossible? Why were so many people not searched by security before being allowed to enter the stadium as per standard protocol? Why did the police do nothing to intervene and instead just stand idly by watching the massacre unfold? The whole incident just begs too many questions to be dismissed away as a random act of football ‘hooliganism’. Suspicion immediately turned towards the Ministry of Interior and even higher up the chain of command to the Supreme Council of the Armed Forces (SCAF), the ruling military junta at the time, who the Ultras accused of orchestrating the attack as an act of revenge against them for their role in the uprising. Whether or not the authorities actively colluded in the attack and to what degree is still unclear, but I think it is safe to say, based on the evidence, they were at the very least willfully negligent. Last month on January 26 2013, 21 individuals – all of them residents of Port Said – were sentenced by a judge to death for their role in the massacre. Interestingly, no police or government officials at any level were convicted. The city of Port Said immediately erupted into violence over what many locals claim was a politically charged verdict. The argument is not entirely without merit. Ultras Ahlawy, who are supporters of Ahly, the country’s biggest club in Cairo, had for weeks been threatening retribution if a swift guilty verdict was not handed down. I think it is certainly possible that the ruling was made as an attempt to appease Ultras Ahlawy. Of course, no one was counting on Port Said erupting the way it did. Some 30 more people were killed in the ensuing clashes with police over the verdict. Actually, the fallout is still being felt until today. Whoever claims that there is no relation between sports and politics clearly understands neither. LH: It may come as a surprise to North American observers that sports fans could be such central political actors, especially in a progressive cause, given that North American sporting culture has become so apolitical or, worse, so deeply conservative. Can you talk a bit about the way that sporting culture is more complicated in Egypt, and how football fans/clubs can come to represent important and progressive political ideals? AM: The Ultras phenomenon in Egypt, like elsewhere, cannot be isolated from its broader social, political, and economic context. In the case of Egypt, these are largely marginalized urban youth who until the revolution really had no outlet to channel their frustration except through sports. The specific internal dynamics at play are necessary to look at. Importantly, Ultras groups in Egypt have not developed the same type of neo-fascist political ideology we find steadily taking root among their Western European counterparts. I think the reason is largely because Egypt has historically been far less polarized than, for example, Greece, the UK, or many of the Eastern bloc countries where this specific brand of far right-wing hooliganism has become particularly prominent over time. There are many other factors. That being said, I do not want to overstate or romanticize at all the progressive political ideals, as you say, of Egypt’s Ultras. For many years, they were in fact quite explicitly apolitical and shied away totally from the arena of politics. Even today to a large degree, Ultras will insist that their role in the revolution is not so much political per se, but rather part of a longstanding and bitter rivalry with the Ministry of Interior, police, and other state security forces. What is clear, however, whether it is acknowledged or not, is the degree to which the revolution has actually played a part in politicizing the Ultras in the first place – and that is true for large sectors of the society in general. Although the Ultras in Egypt have for a long time avoided politics, a basic notion of freedom, justice, and dignity has always been at the core of its values. These sort of core values, together with an already pronounced anti-police sentiment, I think helped provide a firm basis for the Ultras’ overall development politically. By the time the revolution started, Ultras members were already participating as individuals, although not yet formally as a group. They were for the most part not acting on any sort of deeply held political convictions but more so a growing sense of indignation towards their hated enemy, the police, and increasingly the government itself. Although the sense of anger, outrage, and injustice they felt still lacked any clear political coherence, it was not very difficult for them to make a connection with the goals of the revolution at a basic emotional level. Martyrdom, memory, and memorialization are also all very central aspects of the Ultras spirit. They have a very strict ‘eye for an eye’ mentality. When Ultras members started dying in the clashes, their relationship to the revolution changed – it became intensely personal. As a result, the focus for them immediately turned to avenging their martyrs at any cost. In fact, one of the main criticisms against the Ultras is that they care far more about their club and fellow members than anything else. I think it is difficult to dispute that claim. Yet there is no doubt that the Ultras have played an incredibly important role in the ongoing revolution to date. 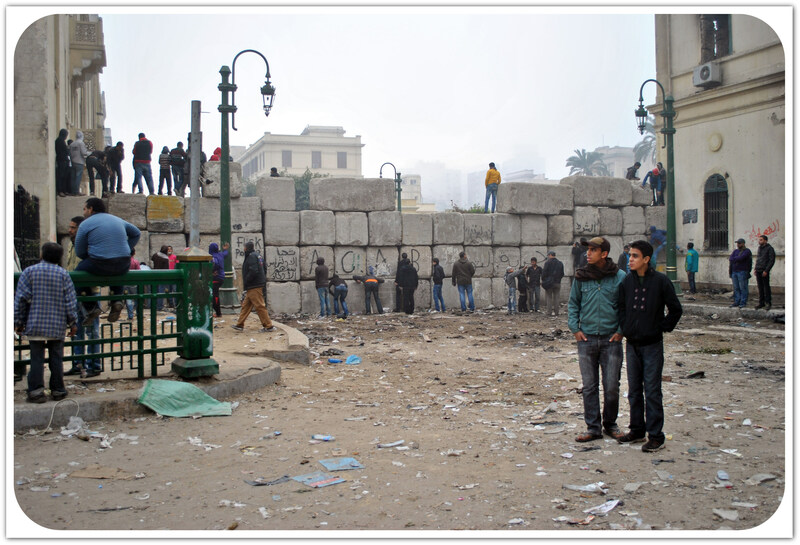 Like I said, they have taken a lead role in most of the clashes against the regime over the past two years, not to mention the many times they have helped defend Tahrir Square from attacks by thugs loyal to the government. Exactly how effective the clashes have been to the overall goals of the revolution is still very much in dispute, but in reality nothing else has done more to raise the price of dictatorship, make the status quo untenable, and generally disrupt politics as usual. What is interesting, however, is the way the Ultras as a movement has evolved over time – not only politically but tactically as well. In the early stages of the revolution, we only really saw them engage in street fighting with police – which they still do – but they now also employ a wide variety of other strategies to achieve their demands, including mass sit-ins, road blocks, and other forms of direct action. In the lead up to the Port Said verdict a few weeks ago, for example, Ultras Ahlawy staged a sit in at one of the largest metro stations in Cairo to demand justice for their martyrs. They held up traffic for several hours, making it very clear the scale of disruption they could cause in the country if the verdict did not go their way. Another important development linked directly to the revolution is the decision by Ultras Ahlawy and Ultras White Knights, supporters of the two biggest clubs in Egypt, and former heated rivals, to put aside their differences and join forces in the fight against the regime. The move is very significant, especially considering the historic rivalry between the two teams. For me, it definitely demonstrates just how much the Ultras have matured as political actors since the start of the revolution. LH: Can you talk a little bit about the way that gender plays out in the context of the Ultras and its role in the movement? Yes, that is a very important question. There is definitely a clear macho mentality that permeates the Ultras culture, whether in Egypt or elsewhere. The same can also be said of sports in general. Yet I think the glaring gender divide found in Egypt’s Ultras movement is really just a symptom of a much larger systemic problem. The Ultras culture of hyper masculinity cannot really be addressed until it has been confronted in Egyptian society as a whole. In Egypt, not only is any kind of open interaction between the sexes still sort of taboo but there is also an entirely different set of social expectations imposed on women that simply do not apply to men. As a result, women in Egypt are often castigated for failing to conform to their prescribed role in society. The problem existed long before the Ultras, but I think, whether intentionally or not, they have done a lot more to reinforce these problematic gender norms than actually confront them. For example, during the sit in that Ultras Ahlawy staged outside the parliament building a month after the Port Said massacre – their first major direct action – the group’s leadership tried to impose several ground rules directed explicitly at women. Firstly, they put a curfew into effect prohibiting women from being at the sit in after 10 pm. Even more shockingly, women were also banned from smoking cigarettes at the site. Although in the end the rules were only loosely enforced, I think it goes a long way to highlight the many barriers women still face to be treated as equal players in this revolution. That being said, I think the revolution itself has done a lot to put a spotlight on the problem. Since the start of the revolution, women have been increasingly targeted for participating in marches, protests, or other related activities – sexual assaults in Tahrir Square have increased dramatically in the past few months alone. Yet rather than back down or retreat from the public sphere, women have in fact only increased their presence on the streets. The fight for women’s rights, being led by women themselves, is now a key battleground in a way it had not really been a year or two ago. LH: The obsessive reification of technology and social media in North American culture has created a perception that the Arab Spring was driven by Facebook and Twitter. This seems rather superficial to me. These technologies may have influenced the shape and the specific manifestations of demonstrations, but it seems to me that social movements have to be rooted in real human, social relationships between people. Do you think sport can be a space where those kinds of connections can be formed and fostered? Does the Egyptian context suggest something that we can build on, with respect to our own movement building, and its relationship to sports? AM: To be honest, I am not so sure that the Ultras offer the best model for anyone to replicate. Sports by itself is simply not a useful basis for effective social movement building, in my opinion. Like sports, there is also a very clear, deliberate divide between participants and spectators in the Ultras movement that should not go overlooked. While the type of mass mobilization, camaraderie, and energy for which the Ultras have become renowned all make for a very awe-inspiring spectacle, it is not one that is really open to outsiders who do not embody the same type of youthful enthusiasm for football that they do. Yet the factors that help explain why the Ultras have become such a powerful and influential force on the ground transcend far beyond the realm of sports alone. There is nothing inevitable about their transformation into political actors. As a result, the Ultras cannot really be understood outside the context of the revolutionary process from which they emerged. That being said, I think there are definitely some general lessons to be gleaned. The test for any social movement lies primarily in its ability to build and strengthen unity. Social movement are more likely to find success where there is also a strong sense of shared identity among members. The bond may find expression in a variety of ways, like sports, for example, but it must be based first and foremost on real root grievances to have any kind of potential politically. Aside from unity of cause, most successful social movements also typically feature some sort of ritualistic component through which the bond shared between individual members is not only forged but sustained over time – it is in here where the role of collective memory that I alluded to earlier becomes particularly important. Some examples that immediately come to mind include the Landless Rural Workers Movement in Brazil, the Zapatistas in Mexico, and even, to a large degree, the Idle No More movement here in Canada. Although these social movements could not possibly be any more different from one another, they all share a certain kind of spirituality that gets expressed, nurtured, and reinforced through the act of specific rituals. The Ultras are certainly no exception in that regard. When thinking about building an effective social movement, the key questions for me are is it inclusive? Is it participatory? Is it democratic in character? Those are the questions that I find important. Whether a social movement emerges from sports or somewhere else is a secondary matter. Above: On February 1, 2012, 74 people were killed and over 1,000 more injured in a stadium riot following a football match between rival clubs Al-Masry & Al-Ahly in Port Said, Egypt. Al-Ahly fans, also known as ‘Ultras’, directly blamed the Ministry of Interior for orchestrating the violence. Ensuing clashes in downtown Cairo between protesters & security forces lasted five days, leading to at least another dozen people killed in the aftermath. Enter your email address to receive notification of Left Hook's weekly feature piece by email.